The 90 storey, AUD $ 241 M project is a shining beacon seen from many kilometers away as it dominates Melbourne’s skyline from its position by the Yarra River and Southbank. 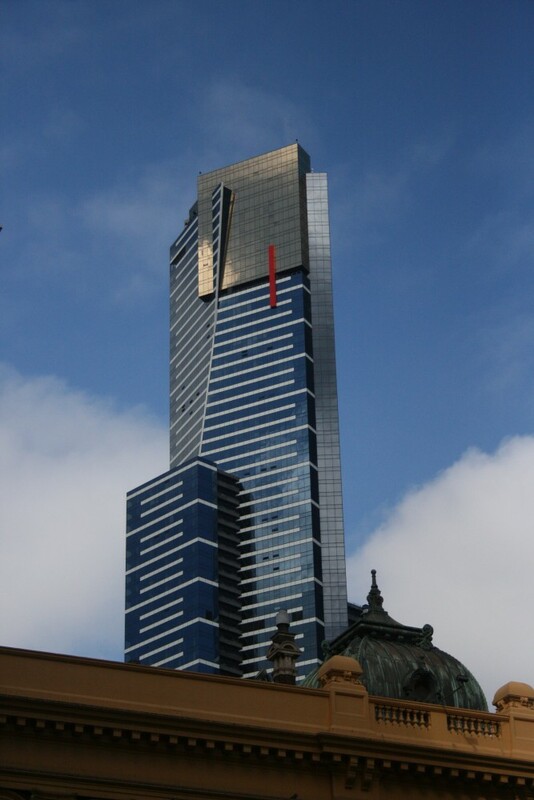 The 91-storey is a shining beacon seen from many kilometers away and dominate Melbourne’s skyline. Total façade area approx. 40,000m², placed end to end, the aluminium extrusions that make up the panels would stretch 400 kilometres. All buildings are designed to move during their life, even low rise buildings. 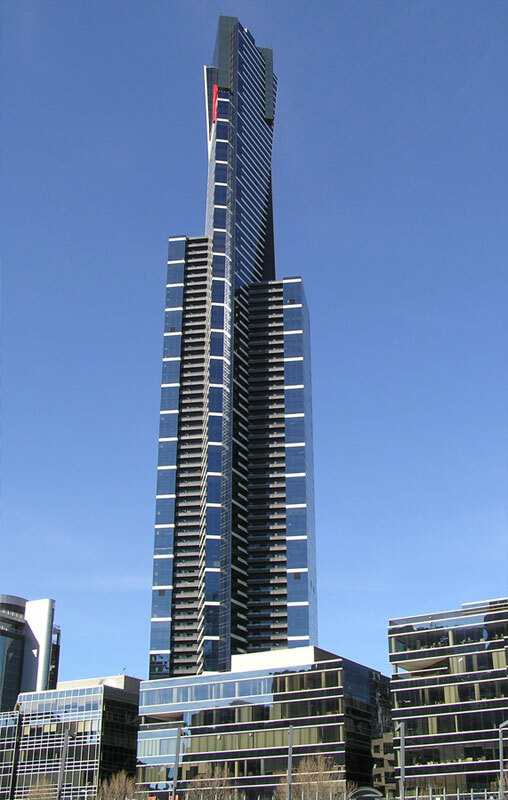 The Eureka Tower is no different and has been designed to sway and twist. 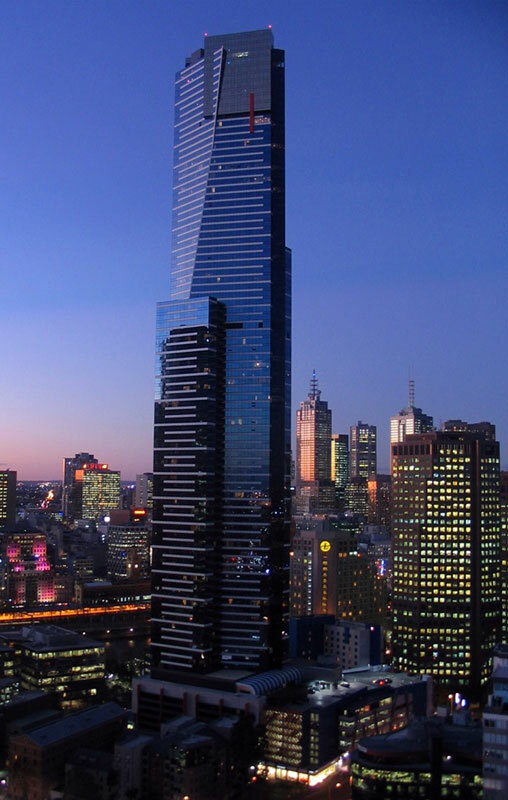 An added dimension is that the Eureka Tower undergoes a major change in building stiffness at the 56th floor, which is where the shoulder of the building ends. Subsequently, any leaning movements are not linear, coupled with the fact that each floor twists slightly differently to the one below. The facade design takes into account minimum glass thickness and aluminium tonnages to meet Australian Standards, Sufficiently designed brackets, anchorages and junctions to carry wind loads deflection and movement considerations and continuity with the main structure. Part of the design brief was to make the outer envelope environmentally efficient, it meant choosing a glass that not only conformed to the strength and durability required, but also allowed the heat to be retained in winter but reflected in summer.